Deftly mixing classic Americana with modern Japanese style, the latest drop from BEDWIN & THE HEARTBREAKERS‘ Fall/Winter 2014 collection arrives with wardrobe staples re-imagined in the brand’s signature aesthetic. Focusing on classic cotton basics upgraded with modern fits and seasonal fabrics, the latest release includes pieces like the cozy UB L/S Fleece Pullover Hoodie and the wool-blend KO-KO C-neck Cable Knit Sweater, as well as a duo of modernized oxford cloth button-down shirts in white and blue. Rounding out the range , meanwhile, are graphic print tees with collegiate-inspired graphics, making for a collection that combines elements from classic American prep style, contemporary menswear and streetwear. Look for BEDWIN & THE HEARTBREAKERS’ 2014 Fall/Winter new arrivals now at the HYPEBEAST Store. Scour the internet, hit up Prince Street, or simply browse the HYPEBEAST forums – for some time Japanese streetwear has been an integral part of fashion. The vivid colors of graphic tees and ludicrous attention to detail may be commonplace to most now, but what many don’t know is that the Japanese brands you rock come courtesy of a very secluded and fairly secret history in Tokyo, Japan, long before the emergence of the internet, digital cameras and mainstream collaborations. 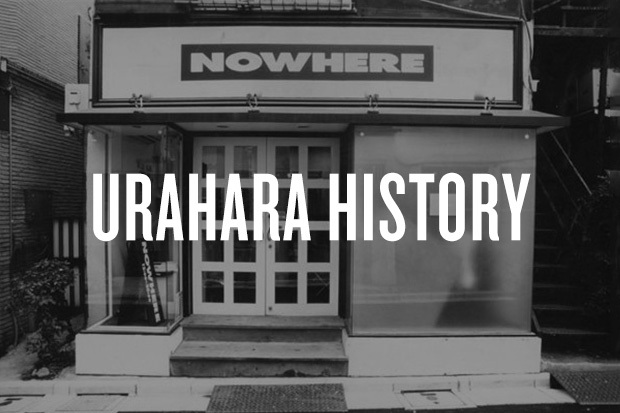 To find the roots and future of Japanese streetwear, its history must be unraveled, and it all started in a spot called Urahara. Urahara, short for ura-Harajuku, literally means “the hidden Harajuku” — an area of approximately four square blocks between the districts of Harajuku and Aoyama which housed the true beginnings of modern day Japanese streetwear. In the mid-’90s the streets were lined with unknown and often unnamed boutiques all with a distinct flavor. 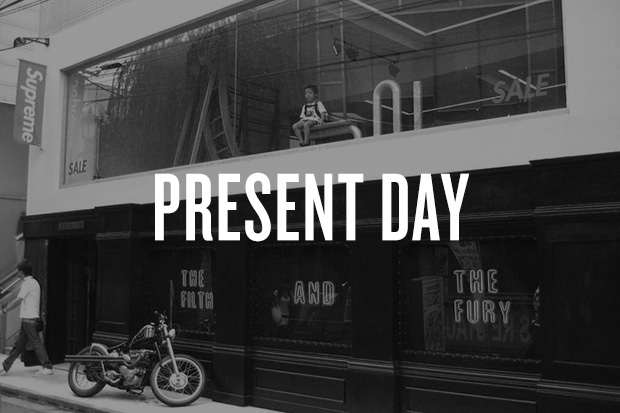 Some shops took inspiration from the West, pulling their newfound interest from America or the UK and importing the sportswear they found from subcultures of hip-hop and punk. This ultimately brought an influx of new ideas and creativity that Japan had never yet seen but were frankly itching for. 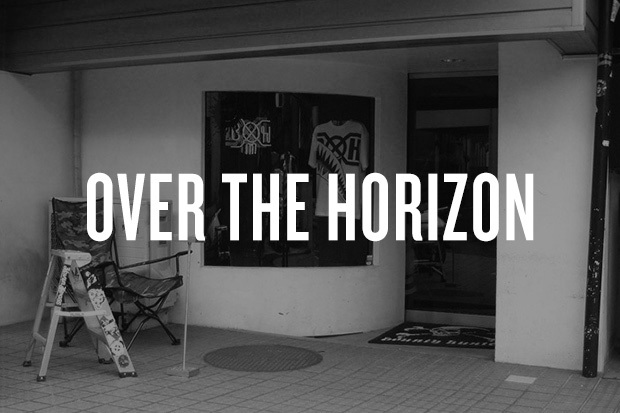 Many say shops like A Store Robot or Vintage King were the definitive origins of the Urahara cultural movement. These shops gave birth to a fresh take on foreign cultures and ideals with just enough content to spark further creativity. The youth soaked up everything like a sponge, and every new piece they bought helped disseminate it across their peers in schools, on the streets, and at the hangout spots until eventually the brands became the topic of strong word-of-mouth advertising, with kids all across Tokyo asking where they found each others T-shirts or accessories. From A Store Robot and Vintage King came another shop run by two unknowns at the time named Jun “Jonio” Takahashi, and Tomoaki Nagao, known then and still to this day as NIGO. Their shop, simply called NOWHERE, was just that – a boutique that was to be so vaguely named and positioned in a way most would walk right passed it. This was the mentality at the time when, shortly before the internet, people knew about the shop from word-of-mouth and recommendation alone. The shop space was split in two, and NIGO’s half was dedicated primarily to the production of graphic T-shirts – this was the very beginning of A Bathing Ape, whom many argue is the essence and beginning of Urahara. It wasn’t long before more shops like NOWHERE or the official A Bathing Ape storefront Busy Work Shop began to pop up. Shinsuke Takizawa’s passion for Americana and a “rebel”-like way of thinking lead to the start of NEIGHBORHOOD, a brand named after his affiliation and respect towards the physical “neighborhood” of Urahara. Shinsuke’s designs were at the time very radical, referencing motorcycle and heavy metal Americana – something the Japanese youth crowd had very little experience with. Rocker-slash-designer Nobuhiko Kitamura soon after opened HYSTERIC GLAMOUR, a brand devoted to fans of ’70s rock bands and films you’d find of thegrindhouse/Russ Meyer variety. Creative designer SK8THING was mixed into the scene as well, providing mind-blowing graphic designs for A Bathing Ape, punk/toy brand BOUNTY HUNTER and many more. The creativity simply could not be stopped, with brands like Goro’s, WTAPS, visvim, HECTIC also popping up. A perpetual waterfall of styles and statements all with their own unique flavor and message began to flow onto the streets, and the kids loved it. The area was booming, and the fans were sampling all Urahara had to offer. Once momentum picked up with the help of Japanese media magazines like smart and ASAYAN, the hype kicked in. Teens and 20-somethings were chasing item after item, with some “grails” gaining the most attention such as HYSTERIC GLAMOUR’s image tees and rock accessories, NEIGHBORHOOD’s Savage denim, Goro’s Native American-sourced jewelry, and of course anything donning the famed BAPE camo along with the legendary Hero down-filled leather jacket made famous by actor/pop singer Kimura Takuya. Some of these items have been reproduced, but most have not and are still coveted items to this day. But what made these items so desirable? Why was URAHARA so revolutionary? The answers it seems stem from many different, yet surprisingly realistic sources. Takahiro Ito, Editor forHYPEBEAST.jp, refers back to the subculture before URAHARA called Shibukaji. “Young people dressed up with American brands like Levi’s, Ralph Lauren, or outdoor brands like The North Face and hung out in Shibuya. No matter the genre though, they were always about the brands from outside of Japan. It was fresh to see the domestic products made by people who knew about the cultures from outside of the country.” This sense of patriotism is nothing foreign – Americans pride their “Made in USA” products perhaps more than the rest of the world. 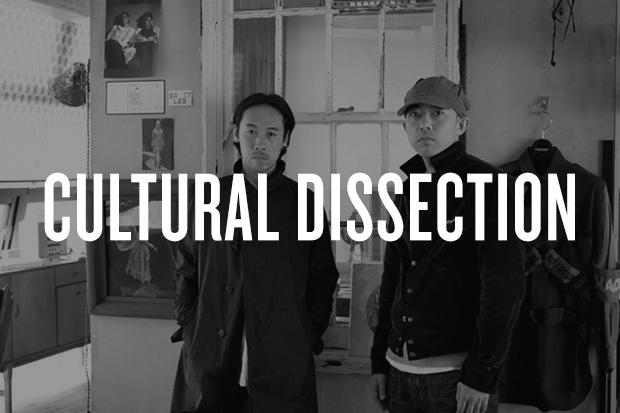 Jey Perie, of BEDWIN & THE HEARTBREAKERS and Deluxe and who now serves as Creative Director for Kinfolk, however claims the success can be sourced to the brands’ rational interpretation of cultures both foreign and domestic to the Japanese audience. “They understood and translated what was happening in London and New York in a way that was understandable for the youth in Japan.” What followed after was a cult following of these designers, at the time often looked upon like heroes, whom wholeheartedly understood how to market their product. 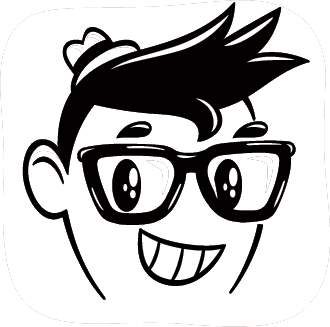 “Add to that the voracious consumerism of the majority of the population and you can now start to understand how a DIY and creative group of kids can turn a small T-shirt company into a million dollar business,” Perie states. Paul Mittleman, design director of adidas and former creative director of Stussy sheds a different, simpler light. “It was basically a simple desire to create,” he says pointing the finger towards the brand GOODENOUGH, a pioneering label in the early ’90s headed by none other than creative consultant and proclaimed “godfather of Japanese streetwear” Hiroshi Fujiwara. “The game changer was ‘style,’ the skill came along and developed. I think the simple ideology of GOODENOUGH was appropriate – the majority of what was around was simply not, ‘good enough.’ In the booming 1980s, style was something apparently missing from Japanese design and production – focus was placed more on efficiency and sterility rather than flow and aesthetic. And while this mainly pertained to their technology it transferred over to their fashion as well, with only a few design cues crossing over from traditional garments like kimonos and periodic wear. Yet sourcing creativity from tradition is something the Japanese could understand very well, as style consultant and buyer for UNITED ARROWS Motofumi “Poggy” Kogi states is much like what pop culture brought upon the Western world in the early ’90s. “[During] the hip-hop music scene in the 1980s in the U.S., artists were wearing tracksuits with gold chain accessories but in the ‘90s, artists like A Tribe Called Quest… came up on the main stage wearing leather medallions that had the roots of their African origins instead of gold accessories.” He goes on to say that the mind of the Japanese youth during this time changed rapidly, and thus began inheriting a passion for their origins and core beliefs while ditching the “value” of luxury outside brands. At some point in time the URAHARA movement ended, and what was once a spawn of pure creativity had become an economically driven business. There are multiple opinions as to when the date actually was; Jey Perie personally feels that the A Bathing Ape empire being sold to Hong Kong fashion conglomerate I.T back in 2011 sparked an end, while “Poggy” claims it was much earlier with the introduction of computer-aided design into the fashion world. Whether the movement officially ended or not, the future of Japanese streetwear is still present and seen to this day, just in a different light. The business aspect of it, put into basic terms is simply bigger, with a market that now spans around the globe rather than around the block, with stores that were once only found on Cat Street popping up in NY and London’s Soho, Hong Kong’s Causeway Bay, Paris’s Rue Saint Honore, etc. Does this “reach” essentially put an end to the allure that Japanese streetwear once had when it was ultra limited and extremely difficult to purchase? “Yes,” admits Paul Mittleman, “but it was not just the inability [to get it], it was the attitude, the brands’ integrity, the shear attention to detail. This stuff was not just hard to get, most of it was really great.” Success, both then and now, was not driven by scarcity alone; the production and resulting product must continue to amaze in its paradoxical approach to complexity and simplicity in order to captivate your audience to purchase. It’s no wonder that most designers and stylists turn to Japan still when in need for a truly great material or motif – Okayama-sourced denim is only one example of the global market’s insatiable hunger for a great product that comes only from Japan. Could Japan reach another movement comparable to URAHARA? That really all depends. While a movement may happen, it might not be in Japan but in growing cultural hot spots like economically strong Beijing or Seoul. The next big revolution in streetwear could sprout from here in the U.S., with great brands like OFF-WHITE c/o Virgil Abloh and HBA leading kids into new fashion depths, while veterans Stussy and Supreme may potentially recreate a new sector in streetwear that we may not know of just yet. Perhaps Japan’s quality-driven brands like BEDWIN & THEHEARTBREAKERS, DELUXE, Sacai and White Mountaineering, or radical brands like Cav Empt will regenerate a passion seemingly gone missing from the current generation of youth. An undeniable truth remains – URAHARA’s effect on the world has not gone unnoticed. The majority of brands that once started it are still around, while newer brands draw continued influence from their ideas and creativity, so a physical location for a neo-Urahara may not be traceable anymore, and with the internet theoretically unifying all markets it ultimately may not matter anymore as well. Eddie Eng is a NY-native who quickly ranked up from a simple fan of the fashion industry into an accredited creative. Having spent a good portion of his life living abroad in Japan, he has acquired a great deal of knowledge of Japanese street culture and fashion. He quickly fell into industry by keeping his ear to the ground, meeting all the right people, and attending all the right events in his second home of Osaka. Eddie eventually found his way into the HYPEBEAST office as both a photographer and writer, where he garnered his first big assignment interviewing NIGO after his departure from A Bathing Ape. Further accomplishments include photography work with fashion photographer YONE, WTAPS creator Tetsu Nishiyama, Hiroki Nakamura of visvim, and reported upon countless store openings, releases, happenings and more. To see more of his creative work, follow his Instagram account @eddieengdotcom or visit his website. Once again, Japanese label BEDWIN & THE HEARTBREAKERS brings out a stylish collection of goods appropriate for the colder months of 2014 fall/winter. The small yet tasteful line includes outerwear pieces such as leather-sleeved baseball jackets, wool pullovers and denims. Designed by Masafumi “Bebetan” Watanabe, the garments feature sharp designs upheld by a dapper aesthetic. Button-down shirts are teamed with slim cardigans and hooded sweatshirts are paired with bomber jackets for a smart-casual feel. Check out the collection and keep an eye out for the pieces at BEDWIN & THE HEARTBREAKERS stockists as well as the brand’s online store in the near future. Like their varsity-style counterparts, coach jackets seem to be here to stay and among the better options on the market is BEDWIN & THE HEARTBREAKERS‘ “Jill” jacket. New for Summer 2014, the athletic-inspired outerwear piece is constructed from lightweight nylon and includes a front snap button closure, dual front pockets and printed graphics on both front and rear. The Japanese label’s emphasis on details, meanwhile, comes through in the form of an adjustable waist, woven label and a great fit. A perfect outer layer for the summer months, BEDWIN & THE HEARTBREAKERS’ Summer 2014 “Jill” Coach Jacket is available now from the HYPEBEAST Store. adidas Japan has reached out to some of its country’s best for a special run of tees based on Japan’s team kit. Working with Porter, LUKER by NEIGHBORHOOD and Bedwin & the Heartbreakers, the T-shirt pack gets its name from the act of going into a huddle or coming together — most fitting as both soccer and this collaboration pack is a team effort. All shirts feature each brands’ distinct logos along with a different stripe of color across the back, with Porter being the only one that brandishes the Japanese flag. Look for these to drop over at END on May 31 for a price of £49 GBP (approximately $85 USD). BEDWIN & THE HEARTBREAKERS continues its partnership with adidas Originals by releasing an artsy iteration of the timeless Stan Smith sneaker. The Japanese label has taken cues from its 2014 Spring/Summer Collection by applying a multicoloured paint splatter effect to the clean white canvas of the classic upper. Standout details include the red heel tab with three stripe branding and special text branding at the heel counter and tongue.This decorative upper is juxtaposed with a clean white rubber outsole. The adidas Originals by BEDWIN 2014 Spring/Summer Stan Smith is available now at select stockists including Invincible for $4,290 TWD (approximately $140 USD).